What isLenny & Larry's Complete Cookie? 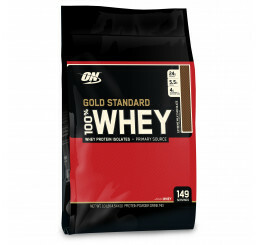 When you finish up your workout, what do you reach for? Are you grabbing a protein shake? Maybe it’s a protein bar? What about a complete muscle building cookie? 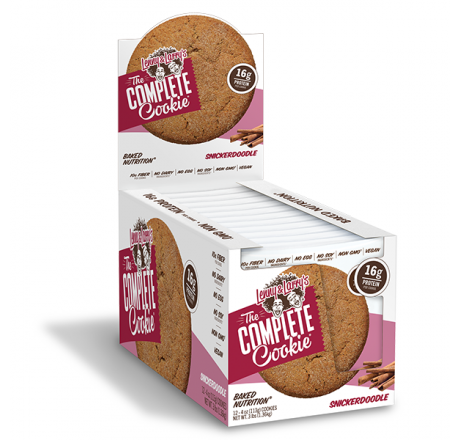 The Complete Cookie from Lenny & Larry’s is a delicious, protein-packed snack that is ideal for any time you need extra protein. Snack on one first thing in the morning, before a workout, after a workout, or as a dessert. What are the benefits of usingLenny & Larry's Complete Cookie? Who should be using Lenny & Larry's Complete Cookie? Delicious and nutritious, Lenny & Larry's Complete Cookie may just become your favourite supplemental snack. This all natural, vegan friendly cookie contains a unique protein blend to support lean muscle gains as well as curb your appetite when you’re trying to lose fat. Incorporating Lenny & Larry's Complete Cookie into a well-planned training and diet program can help with achieving your muscle building and fat loss goals. 3. 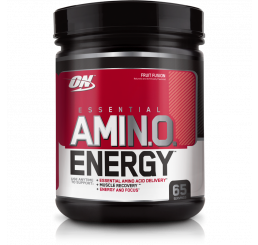 Blomstrand E, Eliasson J, Karlsson HK, Köhnke R.Branched-chain amino acids activate key enzymes in protein synthesis after physical exercise. J Nutr. 2006 Jan;136(1 Suppl):269S-73S. 4. Norton, Layne, Layman, Donald. Leucine Regulates Translation Initiation of Protein Synthesis in Skeletal Muscle after Exercise. J. Nutr. February 2006 vol. 136 no. 2 533S-537S. (Vegan) Enriched Wheat Flour (Wheat Flour [Unbleached], Niacin, Iron, Thiamine Mononitrate, Riboflavin, Folic Acid), Non-Hydrogenated Margarine [Natural Oil Blend] (Palm Fruit, Canola, and Olive), Filtered Water, Sea Salt, Sunflower Lecithin, Lactic Acid (non-dairy), Annatto Extract), Raw Sugar, The Complete Cookie Protein Blend™ (Soy Protein Isolate, Wheat Protein Isolate, Wheat Gluten, Pea Protein), Brown Rice Syrup, Filtered Water, Cinnamon, Chicory Root Fiber, Oat Fiber, Natural Vanilla Flavor, Sea Salt, Baking Soda, Sunflower Lecithin. NOTE: The Nutritional Information & Ingredients is for Snickerdoodle flavour. These may slightly vary depending on different flavours. Soft, slightly chewy and delicious! Love the choc chips. First Lenny & Larry's cookies I've tried, and I'll be buying more. Hard to find a good vegan protein cookie, but these definitely hit the spot. Taste great and soft baked - what more could you ask for! Soo delicious, only downside is the 'half a cookie' is one serve! Who can honestly put back half one of these!!! Cant beat the taste of Lenny and Larrys. Good source of post workout carbs or to meet those carb goals. I buy by the box good for when busy after working out. Definately love these cookies for a snack (or even as a meal). By far the peanut butter flavour is the best. The other flavours don't even come close. Ive tried a lot of protein bars, cookies, treats of all kind, and these are the best by far. Need I say more?! These taste amazing! Great snack to bump up calorie intake! Huge range of flavours makes choosing a box hard though! A high protein vegan cookie? Must taste gross right!? WRONG! I admit at first I was sceptical but after the first bite I was hooked. Not only does it taste delicious but Lenny & Larry's complete cookie is packed with nutritional goodnes that I need to help maintain my physique. I now use this complete cookie as a snack on-the-go or an extra meal.